Professor, University School of Humanities and Social Sciences, GGSIP University, New Delhi , India. Naresh Kumar Vats updated their profile information. Naresh Kumar Vats and Rajiv Ranjan Dwivedi are now peers. 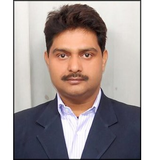 Naresh Kumar Vats added interests culture studies, cinema studies and literature. Naresh Kumar Vats changed their profile image.